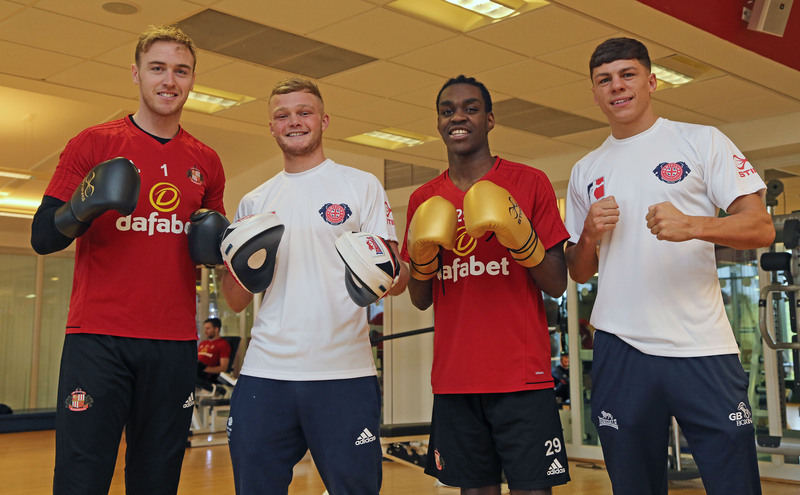 British Lionhearts, Pat McCormack and teammate Calum French visited Sunderland AFC’s Academy of Light (AoL) this week as part of the build-up to next week’s World Series Boxing match in Gateshead. 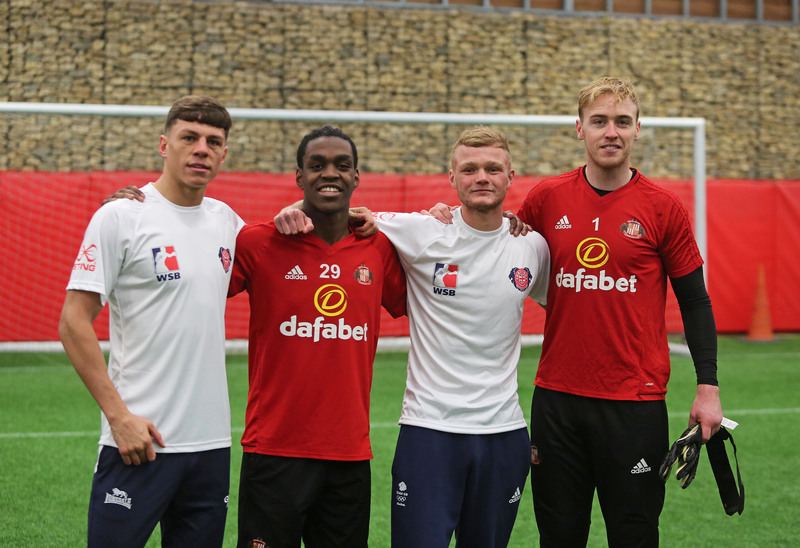 Sunderland’s Jason Steele and Joel Asoro were on hand to work with the fighters along with members of Chris Coleman’s backroom team, as the Lionhearts took advantage of the AoL’s first-class training facilities. 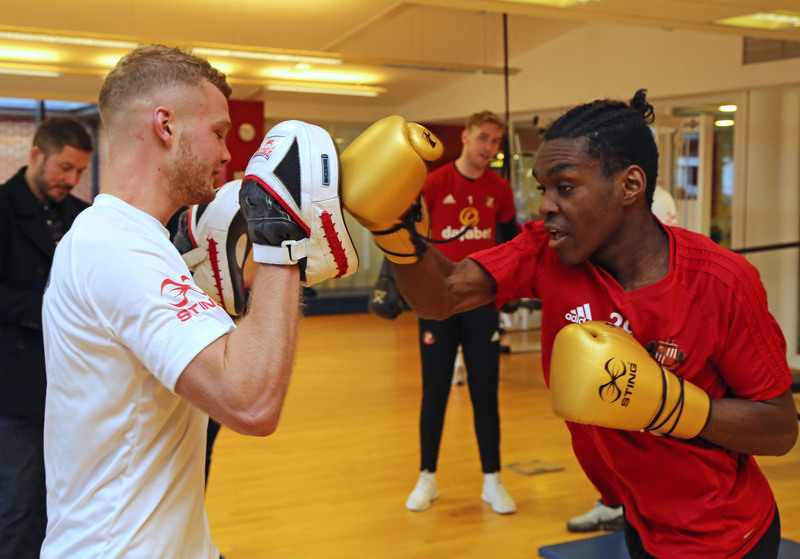 The athletes swapped ideas and training methods while also trying their hand at a range of boxing and football drills, including pad work before a penalty shootout – stay tuned for the video to see who emerged victorious. 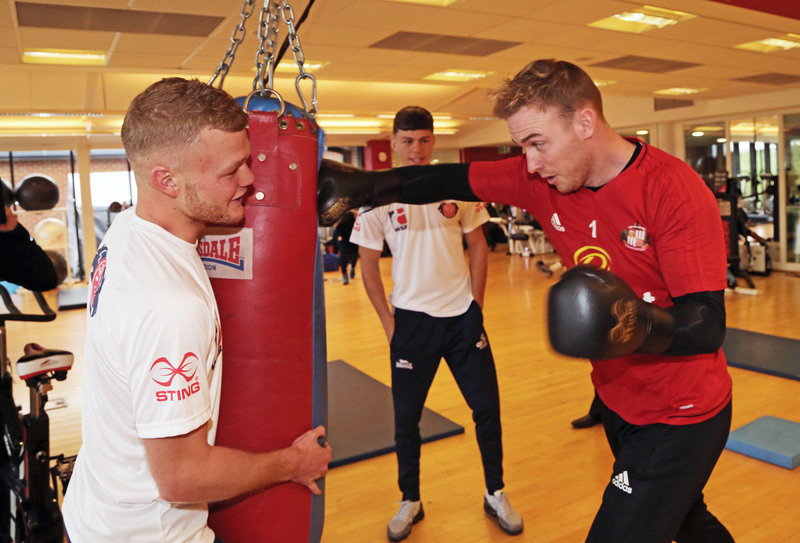 A friend of former Sunderland stopper Jordan Pickford, McCormack represented Team GB at the 2016 Olympics in Rio while also being named as the World Series of Boxing’s ‘Boxer of the Season’ for 2016. And the WSB’s upcoming event in Gateshead marks a homecoming for the 22-year-old who hasn’t fought in the north east for over six years. French, meanwhile, is unbeaten in the WSB and they’ll be striving to maintain their flawless record in front of what is expected to be a sell-out crowd at Gateshead Leisure Centre on Friday 16 February. McCormack said: “The Academy of Light is a brilliant facility and it was great to be shown around and get an idea of what the footballers do. Although our sports are very different there are more similarities than I realized in terms of the physical demands of the sport and some of the fitness work that we do. World Series Boxing is a team boxing competition contested by the world’s leading amateur boxers. It bridges the gap between Olympic and professional boxing and boxers compete without vests or headguards over five three-minute rounds. A WSB match is contested over five bouts and the team that wins three or more is the winner. Some tickets are left for the match in Gateshead on Friday 16 February priced £20 and available at www.gbboxing.org.uk/tickets.